Starting with version 17.1.0.32 (2019 Volume 1) Syncfusion will no longer publish the NuGet packages in nuget.syncfusion.com. 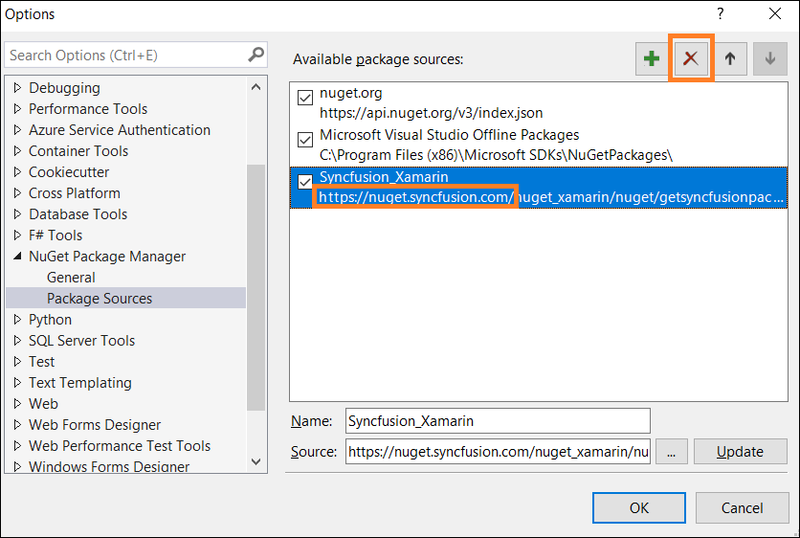 All Syncfusion Essential Studio components are available in NuGet.org from version 16.2.0.46 (2018 Vol 2 Service Pack 1). So, if already using the nuget.syncfusion.com feed link to install/update Syncfusion NuGet packages, remove the Syncfusion NuGet feed link from NuGet.config using NuGet Package Manager Settings. Follow the below steps to remove the Syncfusion NuGet feed link. 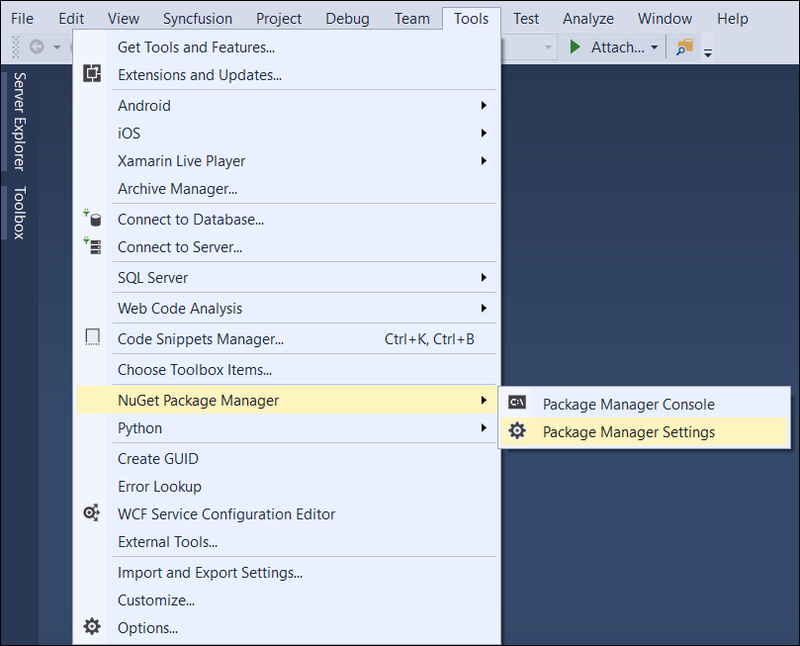 Choose Tools > NuGet Package Manager > Package Manager Settings in Visual Studio menu. NuGet Package Manager dialog will open, choose the Package Sources option. Select already configured source with Syncfusion NuGet feed (The source starts with https://nuget.syncfusion.com/) and remove the feed link from available package sources by clicking the Remove button and click OK button. Note: Do the step 4 if configured with multiple source with Syncfusion feed link for different platforms. Syncfusion continues the NuGet publishing in nuget.syncfusion.com for Dashboard and Reports platform. Choose Manage NuGet Packages option from currently working project. 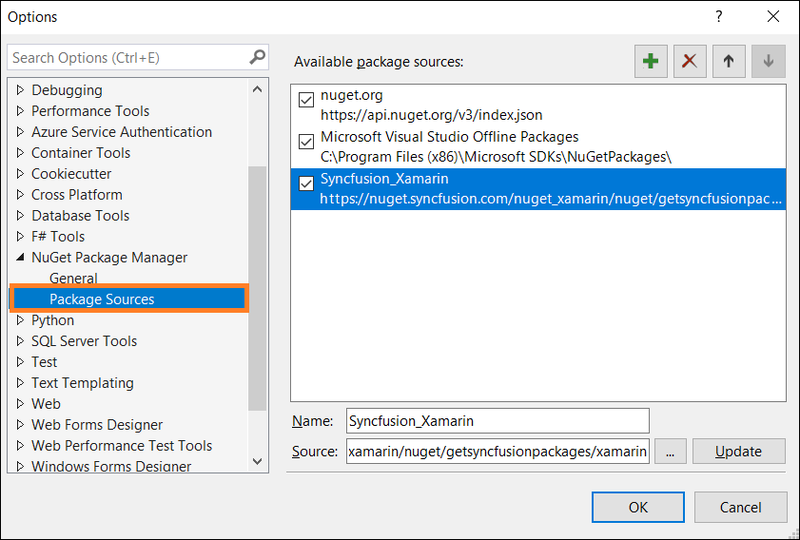 Make sure that the nuget.org or All package source is selected in Package source. 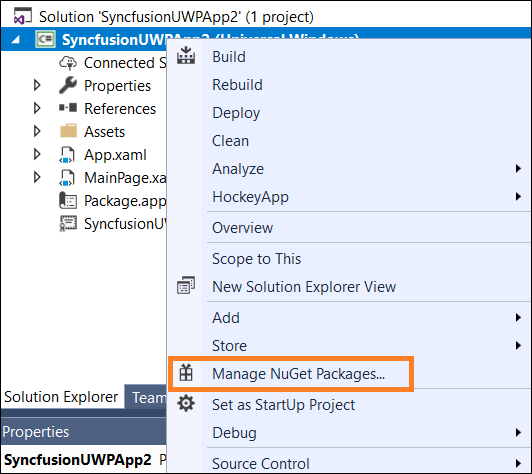 Search the Syncfusion NuGet packages in search box using Syncfusion keyword or package name.